The San Diego Humane Society Thursday took custody of 29 dogs that were rescued from slaughter by the Korean meat trade. Humane Society International is transferring more than 100 dogs from South Korea -- mostly mastiffs ranging in weight from 20-60 pounds up to 100-130 pounds -- but also some Jindo-mixes and Chihuahuas. All are estimated to be between 1 and 2 years old, with the exception of some puppies under a year old. The canines were flown from South Korea to San Francisco, where a San Diego Humane Society team picked up 29 of them. 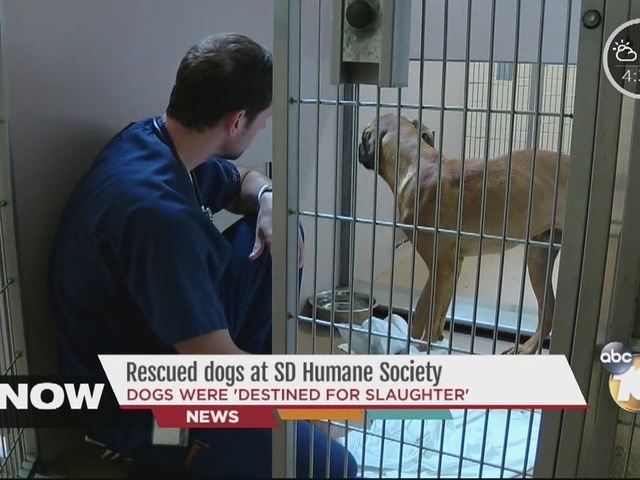 "The dog meat trade is one of the most horrific forms of cruelty and we've taken on helping these animals as an urgent mission for San Diego Humane Society," said Gary Weitzman, president and CEO. "Our partnership with Humane Society International is critical to our ability to provide a second chance for animals -- in this case animals destined for the worst type of abuse and slaughter," he said. Veterinarians and animal care staff were set to spend this afternoon and the coming days conducting exams of the dogs to gauge their health, with the hope of placing them up for adoption. "You know, for me, I can't even look at these dogs without bursting into tears because this is like the culmination of everything that means something to me, means something to the San Diego Humane Society, means something to the people in San Diego, to know that these animals who never had a prayer to have a life are now going to have lives that nobody could have even conceived of," Weitzman said. The international Humane Society said it's working in countries across Asia to end the dog meat trade and helping dog meat farmers transition to more humane ways of making a living. 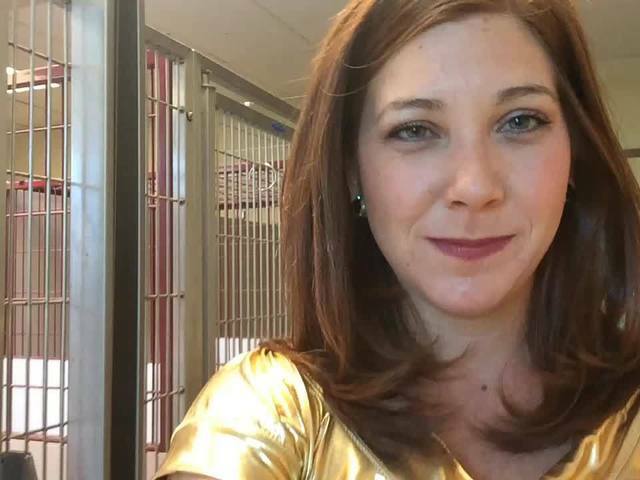 Weitzman said, "But these animals are stuffed into cages, they're transported together even though they may not be able to be together because they'll be fighting; they don't have food and water, they have no veterinary care, they've never felt the touch of a human hand. These are animals that have been absolutely, 100 percent ostracized from the compassion that's so important to us."